Playing with New Toys: Black Sesame Seeds | Come Due Maiali / "Like Two Pigs"
And so, come Friday night, I had an intense craving for a nice fish, especially since I had just picked up a jar of black sesame seeds. I feel about new ingredients the same way I feel about freshly bought clothes: I have to take them out for a spin immediately! At the store I was quickly reminded of why fish was not usually on my short list: more often than not, I have a hard time finding one that I am excited about, even at the most reputable of fishmongers’. Tonight, I needed something I could encrust with black sesame seeds, but nothing spoke to me. After much hemming and hawing at the fish counter, I left with large scallops. I cooked some 100% buckwheat soba (most of the soba sold in stores is a combination of wheat and buckwheat, which makes it milder, less nutty and earthy, – not what we are going for here), and finished it off with a tiny bit of good-quality soy sauce and toasted black sesame seeds. 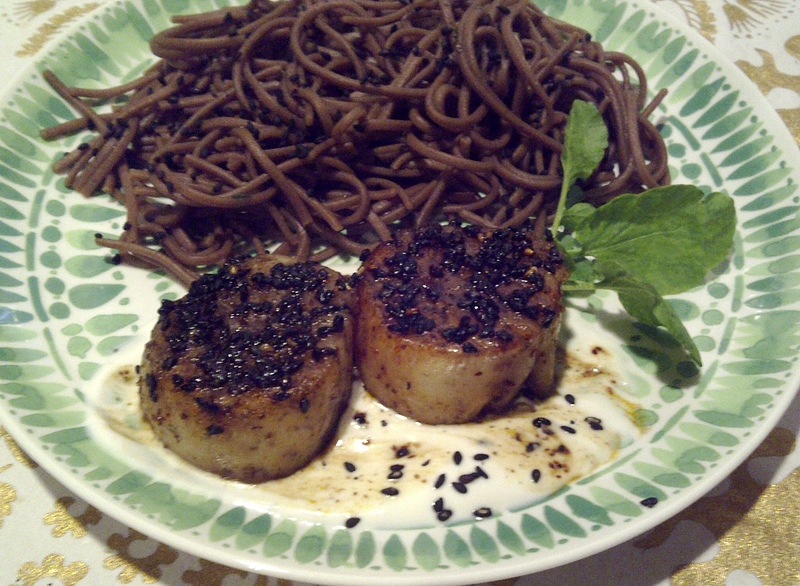 Then I seared my scallops with a little butter, and a mixture of black sesame seeds and nanami togarashi (a traditional Japanese spice mix that includes chili pepper, orange peel, ginger, seaweed, and Japanese pepper. After 2 min on each side, I quickly deglazed the pan with soy sauce (with the scallops still there), in order to impart a little extra flavor. And finally, my simple but intense yogurt sauce combined fat-free Fage Greek yogurt, wasabi powder, a mineral-laden salt (preferably Hawaiian pink or Indian), and fresh lime juice. 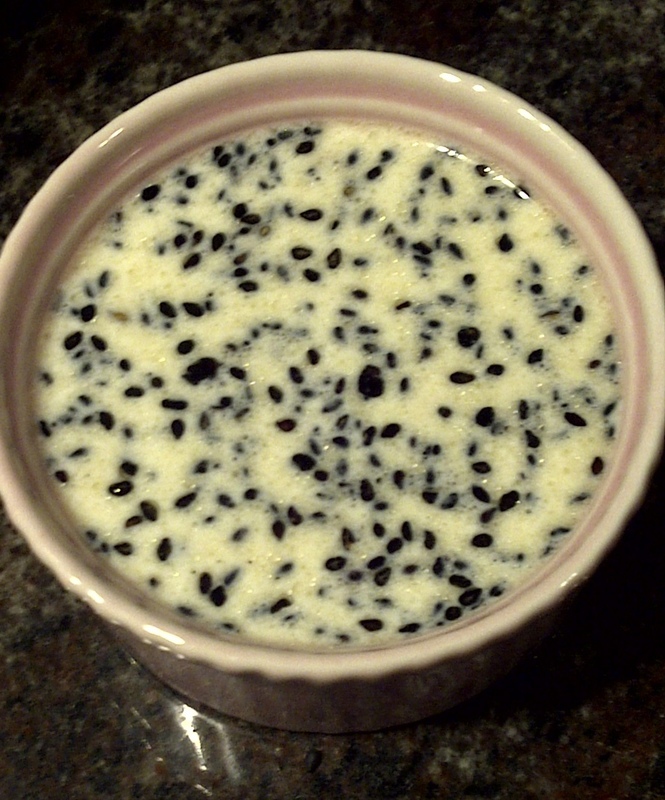 The first step is to infuse panna (heavy cream) with the sesame seed essence from good-quality sesame seed oil (I used La Tourangelle brand) and toasted black sesame seeds. Warm up the oil with the seeds for 3 minutes, pour in the cream, and remove from heat. Let the mixture sit for at least a couple of hours. Strain the cream, warm it up on medium, and stir in the salt and the sugar. In the meantime, sprinkle the cold water with gelatin and let it stand for 1 min. When the cream is close to a simmer, stir in the gelatin, and remove from heat. Pour it in a metal bowl inside another metal bowl filled with ice, and keep stirring while it cools down. Pour in ramekins, top with lightly toasted black sesame seeds, and chill for 6 hours. 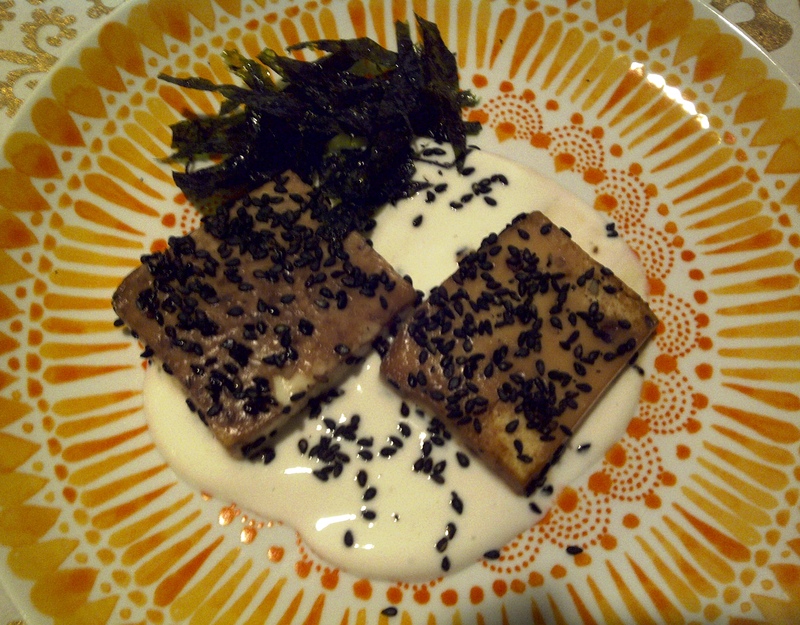 This entry was posted in cooking, food, recipes and tagged Acqua al 2, black sesame seed panna cotta, black sesame seeds, branzino, Mastroberardino, sesame seed encrusted scallops, toasted sesame oil by Come Due Maiali. Bookmark the permalink. Can I just say, I love your title. Sometimes when I come home from the market I feel exactly like that… can’t wait to get into the kitchen and “play”! I think I will have to try this recipe too! Grazie! Prego, signora! Btw have a fabulous trip! That looks really, really good! I will have to try this as well! I like to use black sesame seeds too! Great blog Natasha! I know what you mean! The tofu version is surprisingly delicious, though. P.S. Don’t think I’ve ever seen black sesame seeds, but that may be because I didn’t know they even existed. If I can’t find any black ones, would substituting with regular light ones work? Look for them in Asian grocery stores or online. 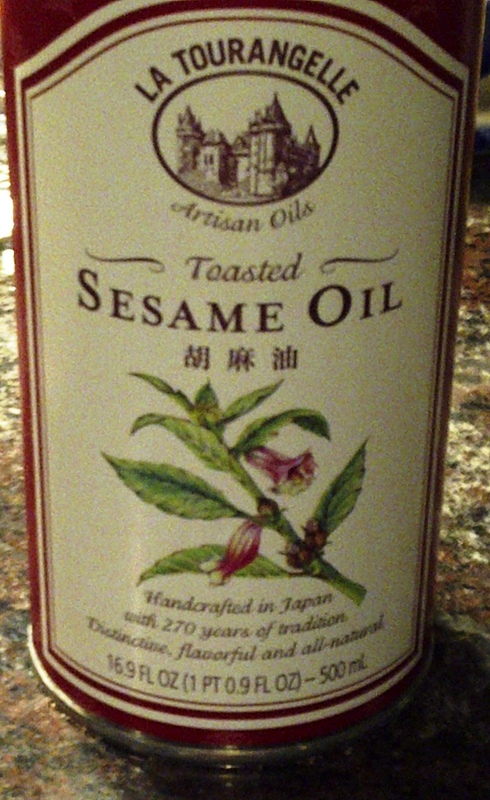 The regular sesame seeds have a totally different taste profile, so I personally would not do a substitution.